Born in 1984, Linden spent her youth in the urban Sonoran desert of Phoenix, Arizona before moving to Southern California to obtain her BA in Studio Art. She’s since lived and worked out of New England, Europe, India, Australia, Samoa, New Zealand, and Japan. 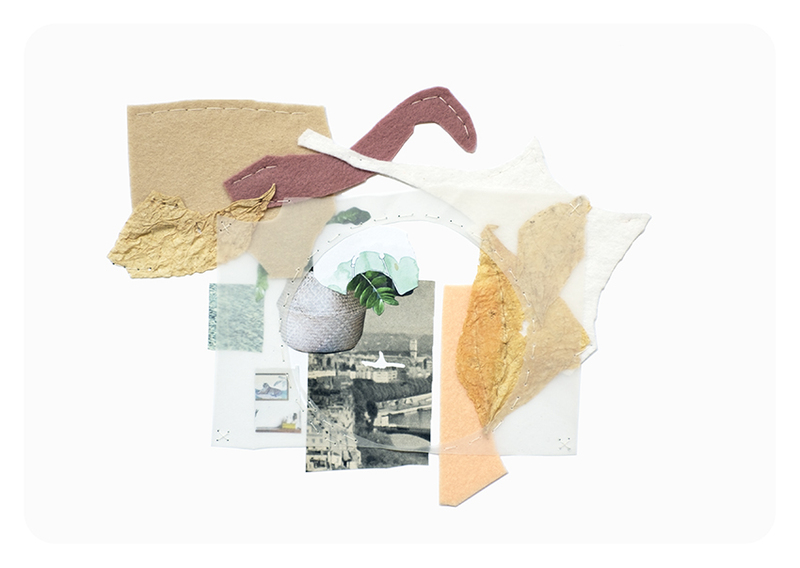 This primary interest in place and self-archival attracted her to the collage medium. 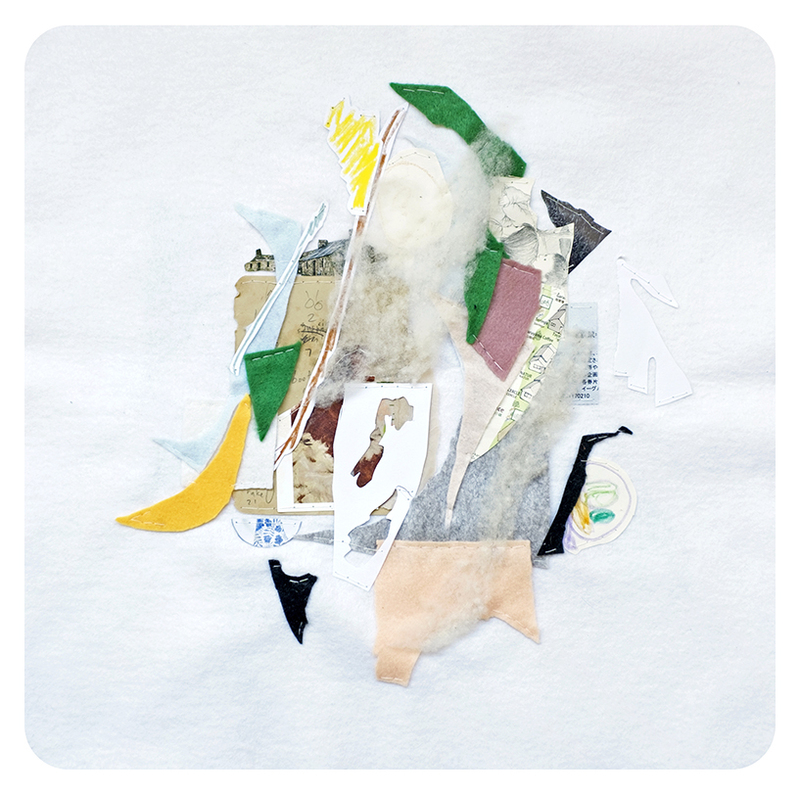 Using a combination of found fragments and personal elements, she composes floating abstract shapes sewn together with thread on paper. Her work centers around themes of memory, its process, and the layers of small alterations which happen each time something is recollected. She also aims to communicate the melancholy in unresolved matters, like her brother’s autism, or natural losses. 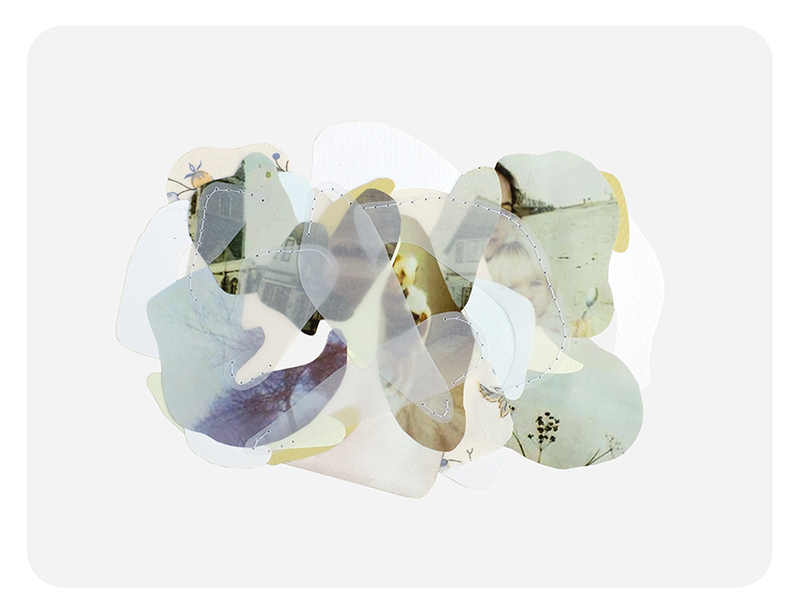 Choosing a distinctly pale colour palette together with the use of tracing paper, her pieces attempt to replicate the quiet hazy environment from which a memory is recalled. Blending autobiographical narratives with larger collective subjects such as childhood, longing, and home, Linden thinks of her collages as field recordings from the mind. Linden’s work has been mentioned online in Frankie & Yen magazines, and been included in numerous publications such as Create!, Inside Artists, Making The Cut Vol. 1, Thistle, Art Ascent, and Lynda Hallinan’s book Jam Sessions. Recent residencies include Dar Slimane (Morocco), La Filature des Calquières (France), Tenjinyama Art Studio (Japan), Cowwarr Art Space (Australia), and Tiapapata Art Centre (Samoa). To view more work by the artist, please visit www.lindeneller.com. You may also follow the artist on Facebook and Instagram @lindeneller.